Any game typology reveals that some types of games are more fit to education than others. Several studies have proposed a game typology or taxonomy, using different perspectives to do so, but most of them use the game characteristics as their main starting point. They look at games from the inside: what are games about or how do they function? In this paper, with an educational perspective, we adopt a different point of view: what is the place or the role of gaming in the educational setting? What is the “use” of the digital game elements in the entire digital educational environment? The criterion we use to distinguish types of games here is directly linked to the function of the game in the overall concept of the educational software. We focus on these types and illustrate them briefly with cases. We distinguish between edutainment (overall games), ed-ventures, simulations and path-games, gaming as navigation, gaming as competition, gaming for content delivery, gaming as reward. Wylin, B. & Desmet, P. (2005). How to integrate games or game elements in educational multimedia: a typology of educational game use. In P. Kommers & G. Richards (Eds. ), Proceedings of ED-MEDIA 2005--World Conference on Educational Multimedia, Hypermedia & Telecommunications (pp. 1194-1199). Montreal, Canada: Association for the Advancement of Computing in Education (AACE). Retrieved April 24, 2019 from https://www.learntechlib.org/primary/p/20242/. Mayer, R.E. (2001) Multimedia Learning. New York: Cambridge University Press. Gee, J.P. (2004). What VideoGames Have to Teach Us About Learning and Literacy, Palgrave Macmillan; New Ed edition. Prensky, M. (2001) Digital game-based learning, McGraw-Hill, New York. Crawford, C. (1984). The Art of Computer Game Design, Mcgraw-Hill Osborne Media. Gee, J.P. (2004).What VideoGames Have to Teach Us About Learning and Literacy, Palgrave Macmillan; New Ed edition,. Viaene, N. (2004). 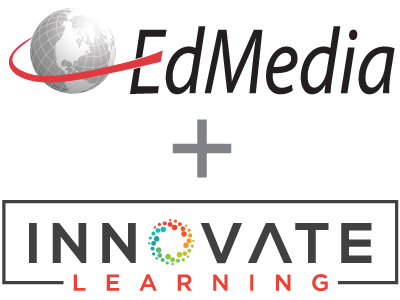 Problem-based learning in Multimedia Interactive and Multiprofessional cases in Health Education. World Conference on Educational Multimedia, Hypermedia and Telecommunications (1), 5370-5374.